You’re probably here because you don’t enjoy your life as much as you could. Whether it’s chronic stress, pain, depression, hormonal imbalances…or you want to shed those extra 15 pounds, you just don’t feel like yourself! Deep down, you know that you’re not here to struggle, feel uncomfortable in your skin, or be weighed down by low energy. That’s why you’ve found your way to my page: You’re ready to break free into a new way of being, one that reflects who you REALLY are as a healthy, radiant, powerful individual who lives with confidence and passion. Somewhere along the way, you lost this connection with who you really are. Maybe it was a job that has caused you ongoing stress, or you haven’t been able to rejuvenate yourself after having your kids. Maybe you just never feel like there’s enough time in the day for YOU, and you’re constantly overwhelmed trying to help everyone else. You can’t seem to shut your mind off, take time for a deep breath, or get the clarity you need to make your health a top priority again. Because of this, your body is giving you some warning signs, whether that’s headaches, anxiety attacks, sugar cravings, extra weight, fatigue, chronic pain, or PMS. Instead of just trying to numb these warning signs so you can feel more comfortable in your struggle, you’re here because you’re ready to transform your life…and you know that you need to start with your physical and emotional health. The good news is that, no matter how long you’ve felt ‘off’for, you’ve come to the right place…and there are indeed powerful, all-natural solutions to restore your health and reclaim a life of purpose, balance, and joy. For the past 6 years, our clinic has helped hundreds of patients just like you—not just to put a ‘bandage’on their symptoms, but to treat their symptoms on a deep, core level that produces lasting healing and change. Rather than just helping you feel ‘a little better’, our mission is to treat all facets of who you are —physical, mental, emotional, and spiritual—so that you not only experience rapid relief, but you also have a blueprint for balanced and healthy living that will serve you for the rest of your life. We have a thriving Facebook community, and we’d love to have you as part of it! 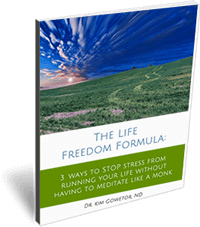 Leave your name and email above for our free report called “The Life Freedom Formula – 3 Ways to STOP Stress From Running Your Life Without Having to Meditate Like a Monk”. This report will give you tremendous tips and insights to quickly create better health. Call our office at 780-328-9088 to set up your first appointment.We’re never too busy to help you!! Working with Dr. Kim is not only a delight, but a great experience. She has a natural balance for listening and offering advice and counsel. She looks at me as a whole person and assesses not only one aspect of my well-being but strives to see the big picture from mental, physical and psychological aspects. She asks the right questions, even ones that other practitioners haven’t asked. As we all have more than one concern, she is open to address each individual issue, while keeping me in mind as a whole. I would recommend her to anyone I know, from young to old since she has the knowledge and the disposition to kindly dig deep into the problem and find a healthy solution. Dr Kim, thank you so much for your guidance and wisdom. Your care for me and my recovery is the hope I needed in a time when I thought hope was gone. I wish every doctor in the medical profession had your attitude and devotion. I place my full trust in you and your abilities, I am and will be eternally grateful for all you do. What I needed the most was to know that you care and I see that in you for me. 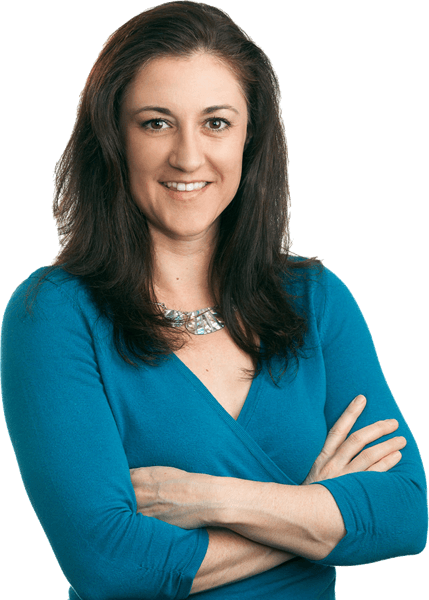 Dr. Kim Gowetor, ND is a licensed and registered naturopathic doctor in the province of Alberta. She inspires people to lead a life of whole health by educating them on how their mental, emotional and spiritual health relates to the physical health concerns they are experiencing. She believes all people can have a greater connection with their community and lead a deeply enriching, fulfilling personal life experience. Did You Have Big Intentions This Year? Comments Off on Did You Have Big Intentions This Year?